Wrestling, hoping to win back its spot in the 2020 Olympics, was reprimanded by the International Olympic Committee (IOC) this week for breaking campaigning rules last month, officials said on Friday. The sport is bidding to return to the 2020 Olympics after losing its spot in February before making it back to a shortlist with squash and softball/baseball. "It was a letter sent by a Japanese wrestling official to IOC members sent back in August, arguing the case for the sport's Olympic return," a wrestling official told Reuters. The official said the letter had been sent outside the date limits for contacting IOC members. "The matter is now closed," the official said. On Sunday the IOC will select one sport for inclusion in the 2020 Games with wrestling the overwhelming favourites. 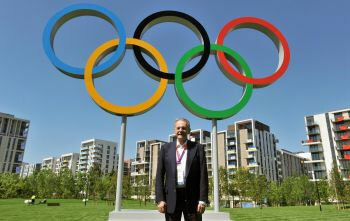 Tokyo, Istanbul and Madrid are bidding to host the 2020 Olympics with a decision to be made on Saturday.